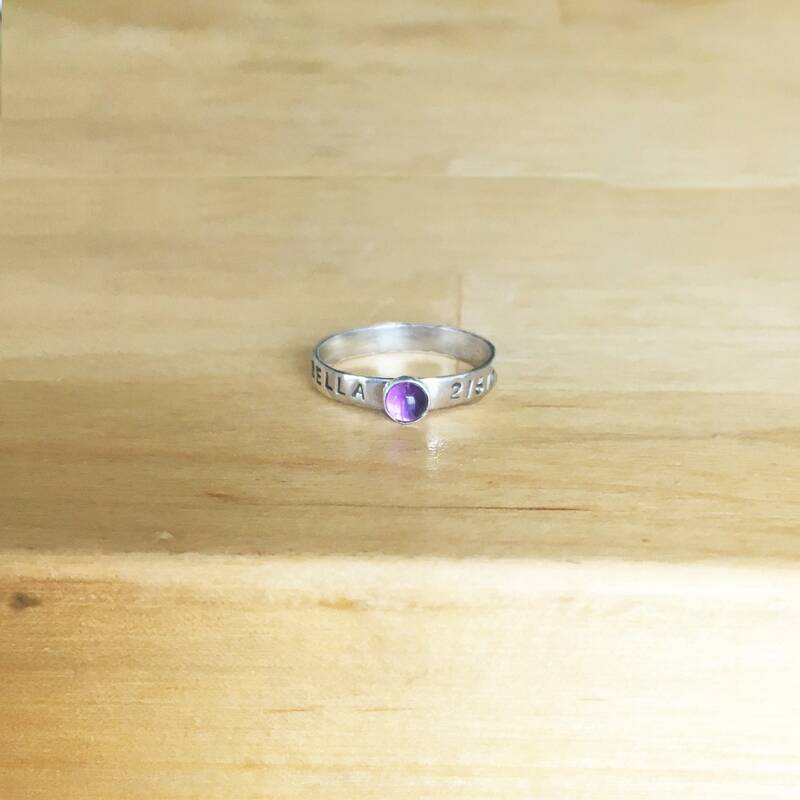 This is my Gemstone Mothers Ring. 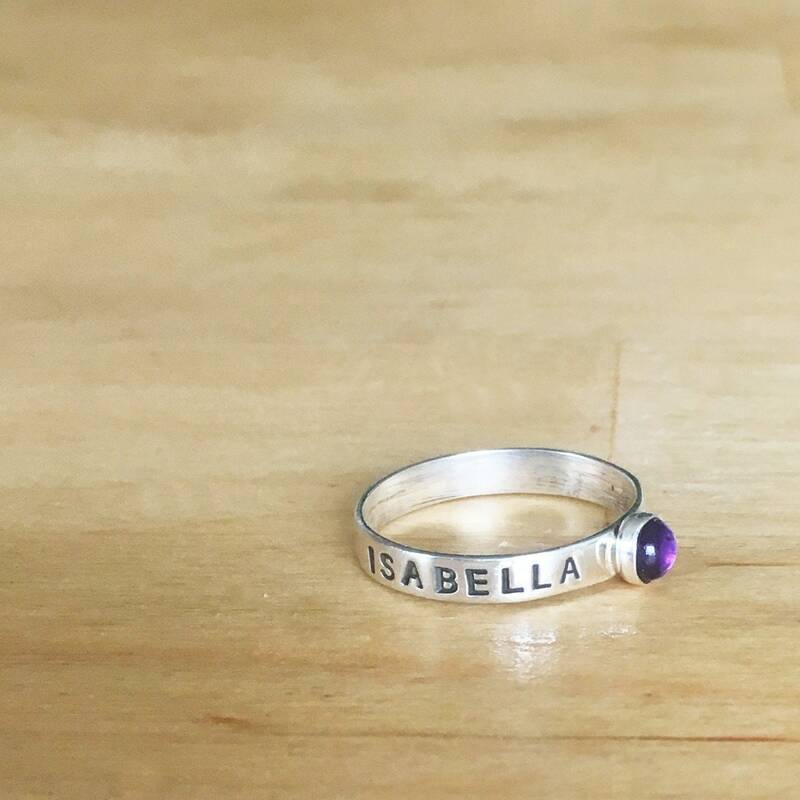 This listing is for a single personalized band with gemstone selected. 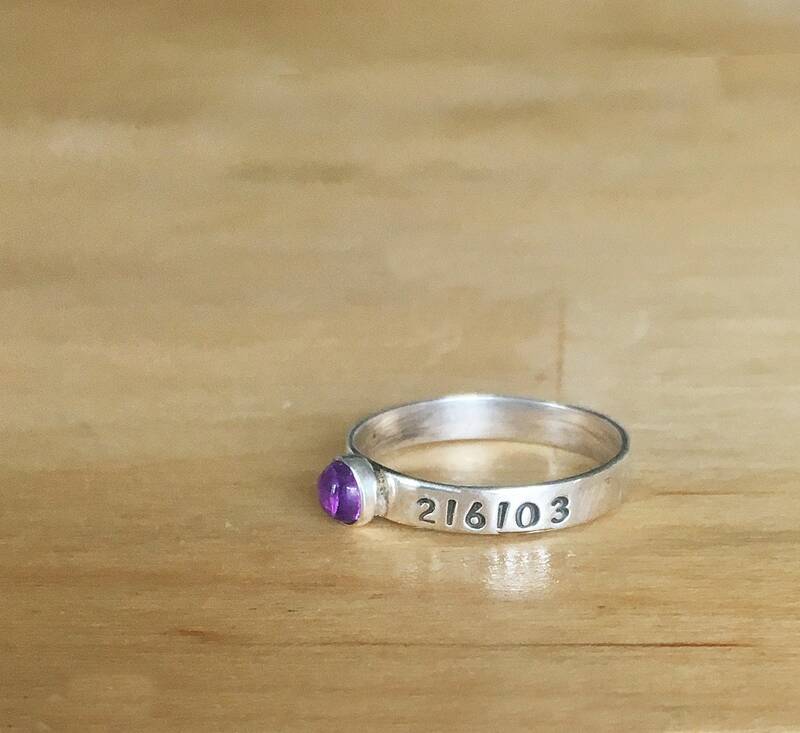 personalize your ring by entering in the name and birthdate or phrase you would like on this ring in the comments section of your order. Up to 20 characters.